Search Engine Marketing, or “pay per click” is a way that enables you to deliver relavant ads to customers looking for your products and services. 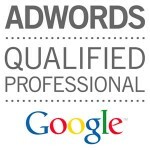 Launching a Google Adwords PPC Campaign is a vital step for growing of a company website. A strong Google Adwords Campaign brings immediate and targeted traffic to the website, it enhances the SEO Organic Ranks, it allows you to more immediately analyze traffic funnels on the website for optimizing conversions (a/b testing), and it markets the brand of the website for recurring visitors. The Get On Social team is continuously adjusting each sub-campaign and ad within the overall campaign to maximize efficiency. Our monthly management fee easily pays for itself because the knowledge and constant attention that our firm provides ultimately yields a significantly higher amount of targeted traffic to the website for much less spent per click.